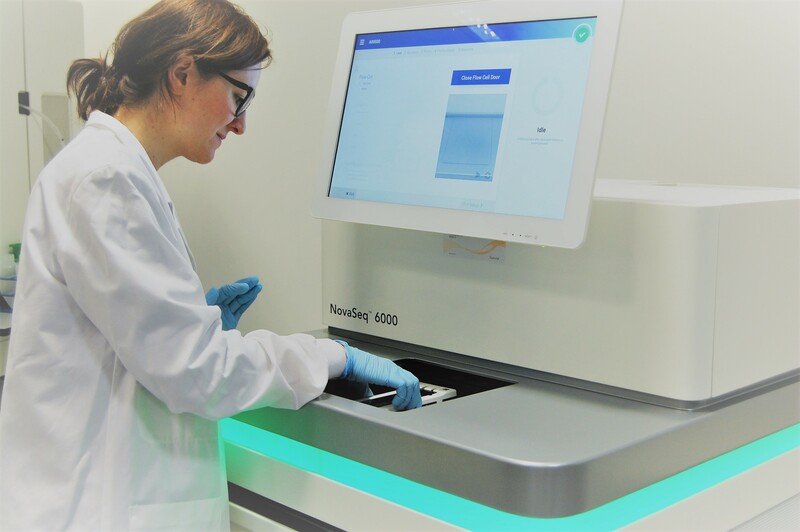 The CNAG-CRG has recently acquired a second Illumina HiSeq 4000 and an Illumina NovaSeq 6000 to keep up with the fast pace of advances in the field of genomic sequencing. These sequencers are complementing the instrument park by high throughput and cost-effectiveness across a wide range of applications. With the addition of these instruments to the existing array of Illumina and Oxford Nanopore Technologies systems, CNAG-CRG now offers even more versatile methodology to sequence large and heterogeneous sequencing projects. The entire operation at CNAG-CRG is tracked using an in house developed Laboratory Information Management System. CNAG-CRG is certified as Illumina Certified Service Provider, Agilent Exome Sequencing Certified Service Provider and is member of Roche Sequencing Solutions® Technical Certification Program for its expertise in running the Roche SeqCap® EZ target enrichment system. The processes at the CNAG-CRG run under ISO 9001:2015 certification and ISO 17025:2005 accreditation.